Low Earth orbit, the region of space within 2,000 km of the Earth's surface, is the most concentrated area for orbital debris. 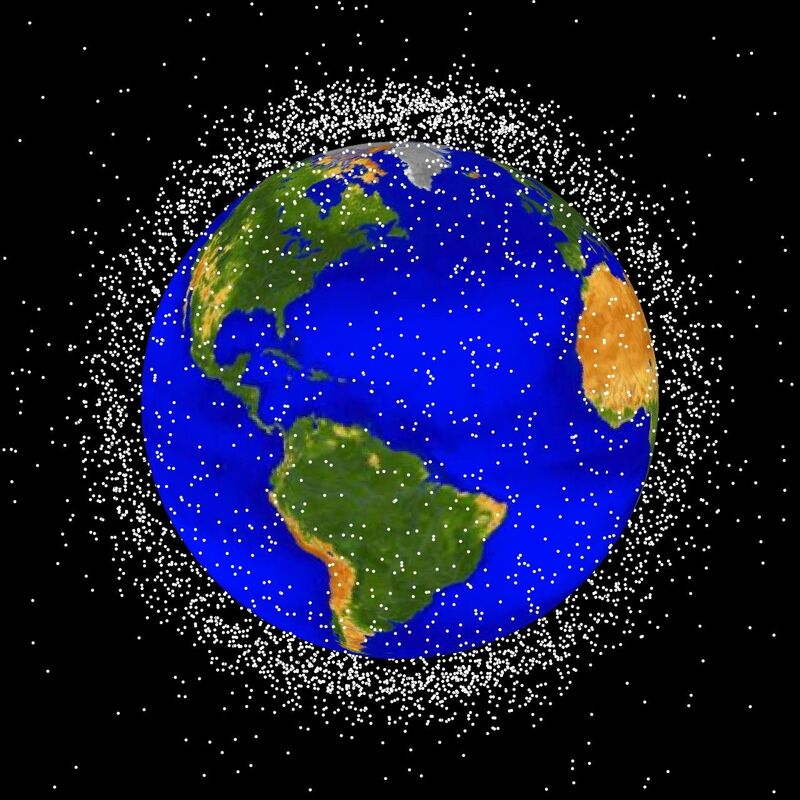 Low Earth orbit contains 6,800 tons of space debris, or space “junk”—human-made objects such as satellites that are no longer in use but are still in orbit. Space debris poses a threat to operational satellites and other spacecraft, and collisions of debris can create even more debris, making the problem worse. 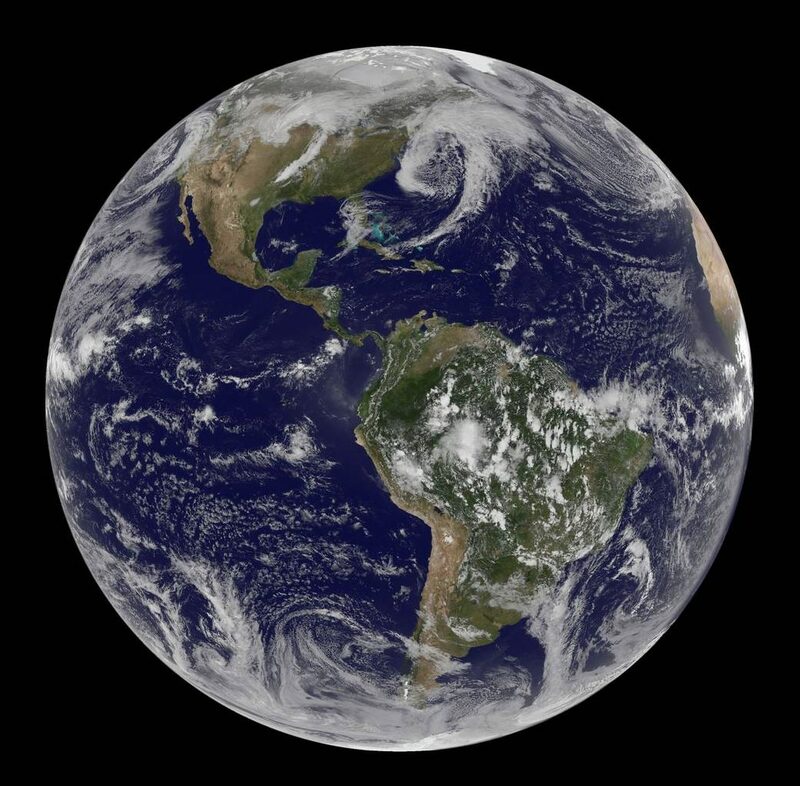 This is a computer-generated image of objects in Earth orbit that are currently being tracked. 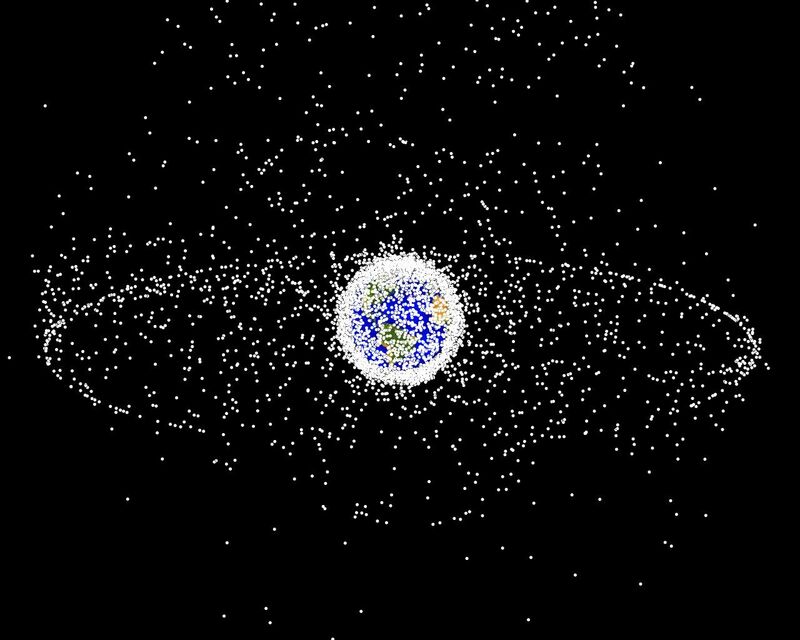 Approximately 95% of the objects in this illustration are orbital debris, i.e., not functional satellites. The dots represent the current location of each item. Last week, International Space Station crew members prepared a satellite for deployment that will test different types of technology to capture and remove space debris. The project, developed by NanoRacks and the Surrey Space Centre at the University of Surrey and launched to the ISS on SpaceX CRS-14, will use the RemoveDEBRIS satellite platform to deploy two CubeSats to act as artificial debris targets to test the removal technology. The RemoveDEBRIS satellite has a 3D camera to map objects and determine their size and movement to see how best to capture and remove them. The project will demonstrate several methods of removal, including net capture, harpoon capture, and dragsail de-orbitation. RemoveDEBRIS is planned for deployment from the ISS next week.